Merino fleece is a revolution in merino wool. 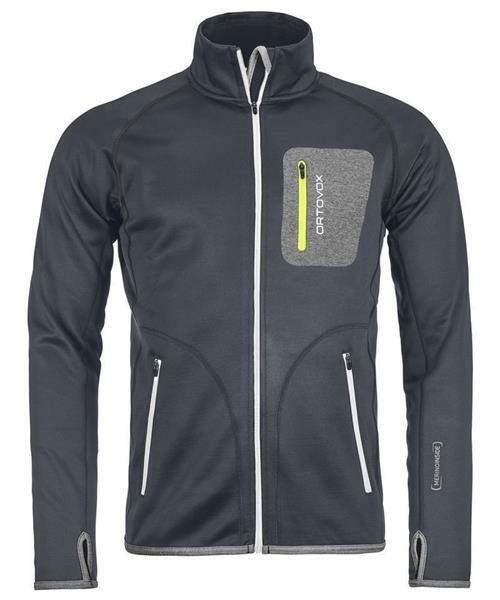 In this Fleece Jacket, Ortovox combines a polyester outer skin with a 100 % merino wool inner. The merino wool is directly woven together with the outer skin and brushed. The result is an unbelievably stretchy, highly resistant and enormously breathable product.